This review explains that BitPenta is an investment scam that you should stay away from. 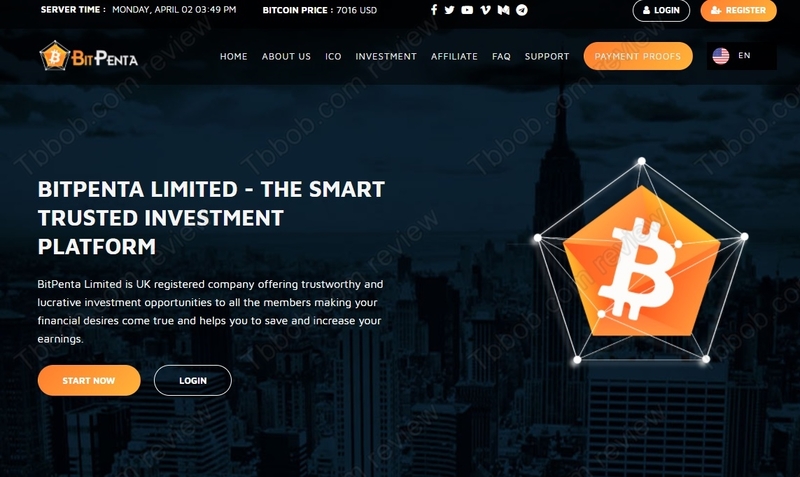 BitPenta Limited allegedly is a company that provides a trading platform that allows you to profit with cryptocurrency investments and bitcoin mining. The investment plans offer up to 0.54% return on investment per hour, which means 12.96% per day. In reality BitPenta is just a scam that is going to collapse, it is just a matter of time. We have seen dozens of scams of the same kind, in average they last for a few weeks and then all the money disappears. All you need to judge these scams is to know that 13% per day is impossible in any business, cryptocurrencies are not an exception to this rule. Really, this number is so ridiculous that it is absolutely clear that BitPenta is a scam, there is no other way. Don’t let BitPenta fool you with the UK company registration. It is just a tax registration that is a few months old. The company has no history whatsoever. The main thing is that you need a licence from the Financial Conduct Authority, if you want to provide investment services like BitPenta does. But they don’t have a licence, which means that they are operating illegally. These companies are created with the sole purpose of making a scam look legit, they cease to exist within one year of their creation. BitPenta obviously is a classic Ponzi scheme. They will pay some profits, but new deposits will be used for that. Then it will collapse, either when owners decide to run away with the money, or when there is not enough deposits to cover withdrawals. Stay away from BitPenta, it’s a scam that won’t last for long. Make no mistake, it is possible to make money with cryptocurrencies, but you not 14% per day. Try a free demo to see what the possibilities are. And one more thing, if you decide to invest real money, use only money that you can afford to lose, just to be on the safe side.